I know what you’re thinking: they’ve done this ‘bad and black’ thing before. Remember 1995’s laughable Bad Boy? Or the 1998 Night Train? Or perhaps the 2008 Springer-fronted Cross Bones? All of those missed the mark by promising an attitude and dynamic the bikes themselves couldn’t deliver. But the new ‘bad and black’ Low Rider S is different – it doesn’t just deliver all that attitude and dynamic, it does so in spades. So much so that it’s one of the very best Harleys in years. As its name suggests, the Low Rider S is a special version of the standard Low Rider. 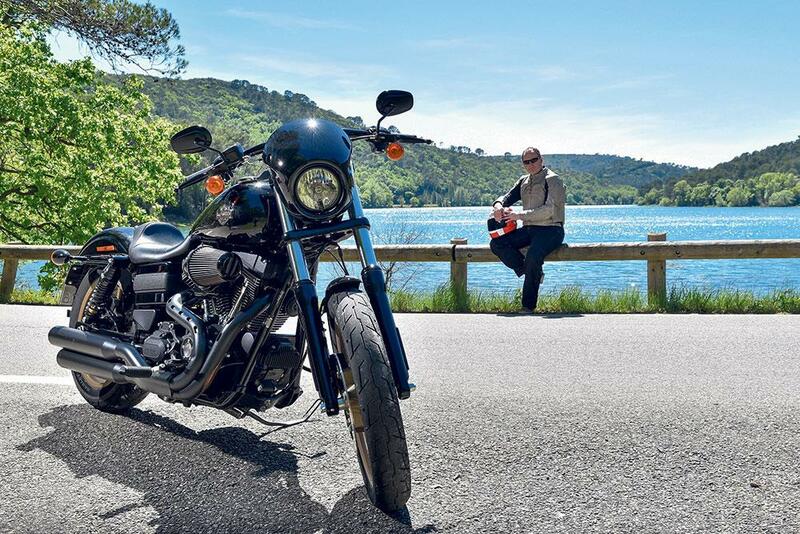 That bike, originally launched in 1977, is arguably THE most significant Harley model of the last 40 years – yes, more than Fat Boy, more than the Road King. Also known as the FXS, the Low Rider was defined by its lowered rear (hence the name), lengthened front and a sprinkling of custom touches. 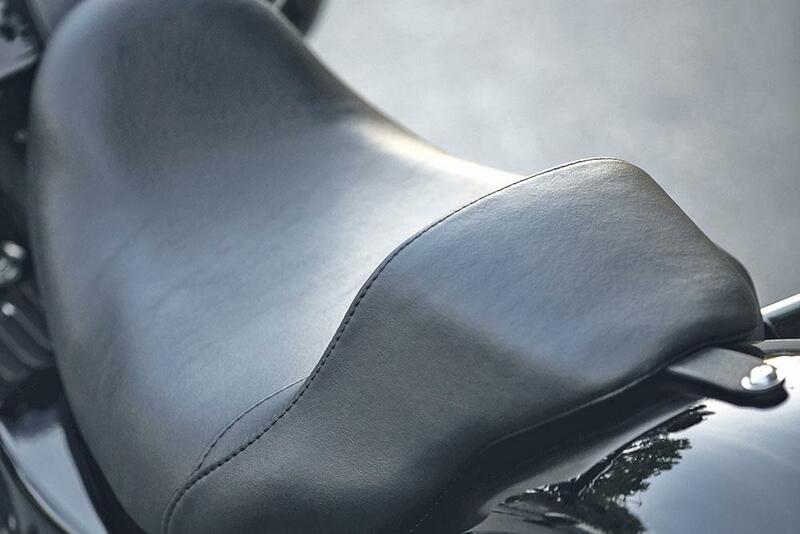 As such, it was effectively the very first factory custom and its success set Harley on the path to what it is today. 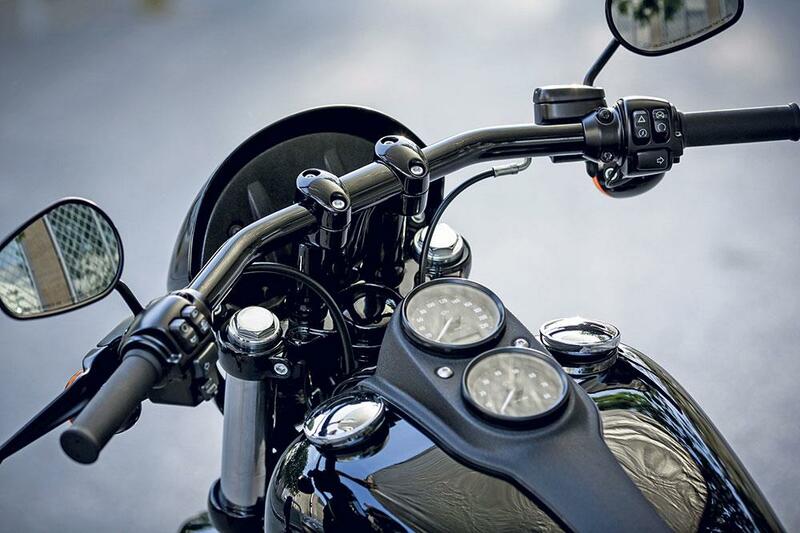 The latest Low Rider was re-introduced to the UK in 2014 and now features Harley’s best-handling rubber-mounted Dyna twin shock chassis with the latest 103ci (or, in English, 1690cc) Twin Cam engine. 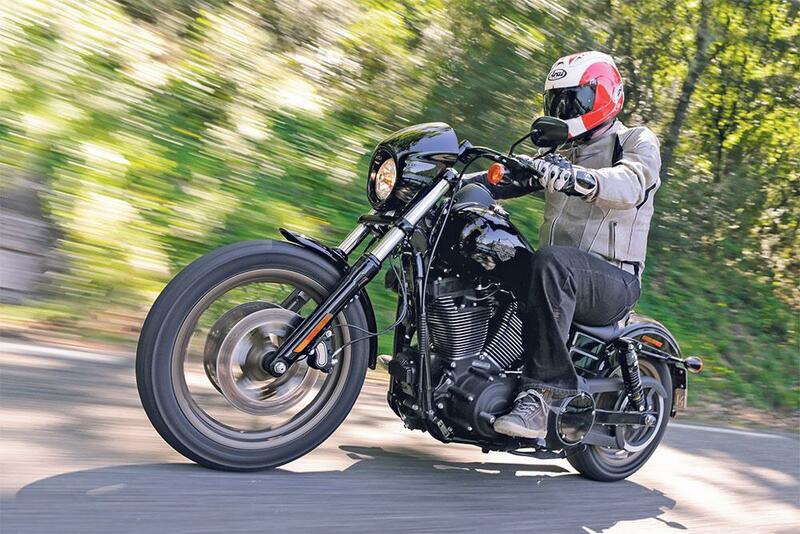 The new S-series, meanwhile, which, for 2016 also includes the Softail Slim S and Fat Boy S, is Harley’s Sports range and has been conceived as a limited series which emphasises certain models’ power and heritage. And that emphasis is the key. The S isn’t just a tarted-up Low Rider, it’s a Low Rider on steroids in virtually every way. 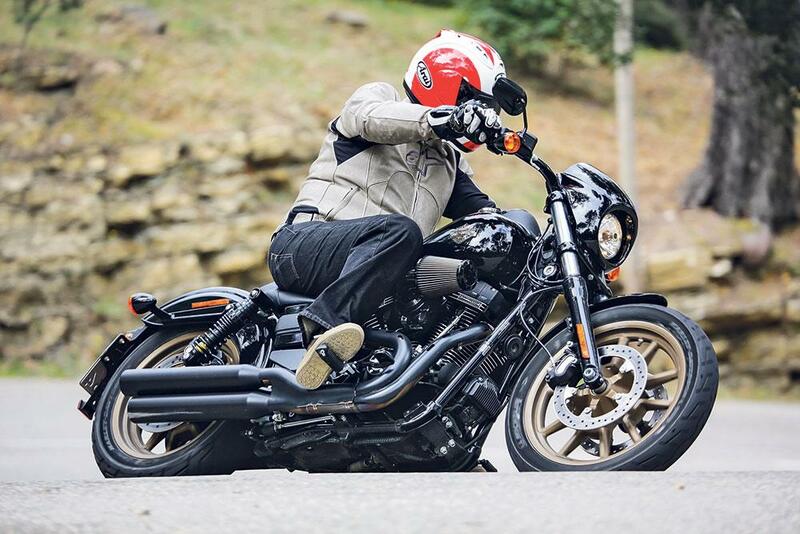 So, performance-wise, both engine and chassis have been uprated to the extent that the Low Rider S has Harley’s biggest, most powerful motor held in its most nimble chassis. More specifically, that engine is now what Harley calls its ‘Screamin’ Eagle Twin Cam 110’ in place of the stocker’s ‘Twin Cam 103’ which, through a capacity increase plus freer breathing intake and exhaust and more, sees a torque increase from 93 to 115ftlb (Harley don’t quote power figures) – a healthy 25% hike. The chassis, too, gets a performance makeover courtesy of new, lightweight wheels and what H-D calls premium suspension front and rear. 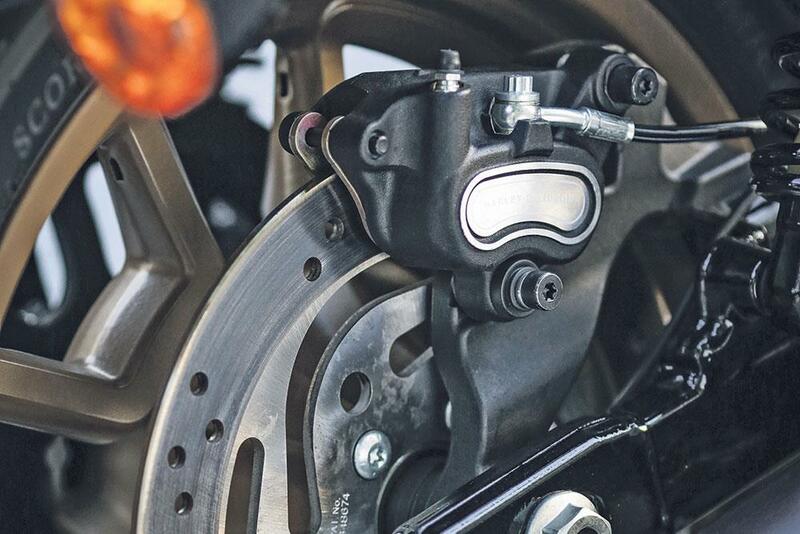 There are beefy, 49mm conventional cartridge forks up front along with longer emulsion shocks at the rear. The whole posture of the Low Rider has also been made more aggressive and more purposeful via straight bars, a new seat and that distinctive headlamp cowling. Everything else is pared down, blacked out and finished off with JPS-a-like gold highlights. There’s an aggression and menace about the S even at standstill, which is unavoidable. The view ahead takes in the high black bars and blanked out cowling inner – there’s none of the expected dials or instruments inside, they’re reserved, somewhat oddly and impractically, for the top of the tank. Though the seat is low and it’s easy to climb on board, this is a big, meaty, long and fairly heavy machine. Everything’s macho. Fire the starter and the twin spits and roars, burbling and bouncing sound waves off all neighbouring buildings via its shotgun exhaust. The S isn’t completely intimidating, of course. Around downtown Marseille for our launch test, noise aside, it was as familiar as any other modern Dyna: the delivery predictable, the steering and controls manageable. But with the first hint of a straight it really comes into its own. Whack open the throttle and a beast is unleashed, the bike firing forward in a cloud of noise and aggression. I was instantly reminded of machines like Yamaha’s V-Max and Ducati’s Diavel. And while the Harley may not have those bikes’ top ends, at the bottom end it’s just as much of a beast and one with, for my money, a more appropriate badge. In short, it’s an addictive hoot.